WASHINGTON (Reuters) - The U.S. House of Representatives backed legislation on Thursday to keep sanctions on companies linked to Russian oligarch Oleg Deripaska, including aluminium firm Rusal, but the Trump administration is expected to lift them as soon as Friday. 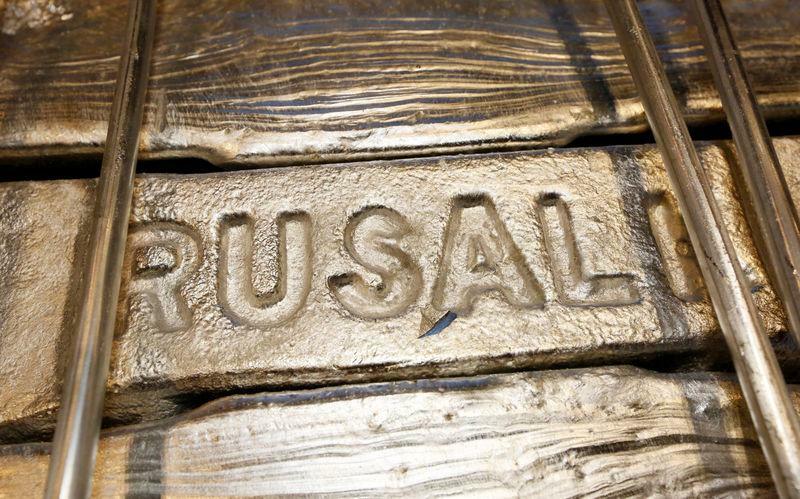 The Democratic-led House voted by an overwhelming 362 to 53 in favour of a resolution of disapproval of the U.S. Treasury Department's decision last month to lift sanctions on the core businesses of Deripaska: Rusal, its parent, En+; and power firm EuroSibEnergo Plc. But the vote was only symbolic, after a similar measure failed in the Republican-led Senate on Wednesday, in a victory for President Donald Trump. Later in the day, Senate Democratic leader Chuck Schumer tried to have the Senate vote but Republican Majority Leader Mitch McConnell blocked it. Some lawmakers from both parties have said it is inappropriate to ease sanctions on companies tied to Deripaska, a Putin ally, while Special Counsel Robert Mueller investigates whether Trump's 2016 presidential campaign colluded with Moscow. "We are dealing with the enemy. We are in an investigation," Representative Maxine Waters, chairwoman of the House Committee on Financial Services, said before the vote as she exhorted House members to support the resolution. The No. 2 House Democrat, Steny Hoyer, wrote to Treasury Secretary Steven Mnuchin on Thursday and asked him to wait to lift the sanctions saying Congress still had many questions about the decision. Treasury officials did not immediately respond to a request for comment. Trump administration officials, and many Republicans who opposed the resolution, said they worried about the impacts of the sanctions on the global aluminium industry and that Deripaska had lowered his stakes in the companies so that he no longer controls them, a sign the sanctions were working. "Adjusting sanctions on companies that help us punish and isolate Russian bad actors like Oleg Deripaska will encourage more companies to cooperate with America to severely hobble Russia," Representative Kevin Brady, the top Republican on the House Ways and Means Committee, which oversees trade, said in a statement. Brady opposed the resolution. Under the administration plan, Deripaska himself would remain under sanction.